Those last three years of Fitzgerald's life, often obscured by the legend of his earlier Jazz Age glamour, are the focus of Stewart O Nan's gorgeously and gracefully written novel. With flashbacks to key moments from Fitzgerald's past, the story follows him as he arrives on the MGM lot, falls in love with brassy gossip columnist Sheilah Graham, begins work on The Last Tycoon, and tries to maintain a semblance of family life with the absent Zelda and daughter, Scottie. Fitzgerald's orbit of literary fame and the Golden Age of Hollywood is brought vividly to life through the novel's romantic cast of characters, from Dorothy Parker and Ernest Hemingway to Humphrey Bogart. 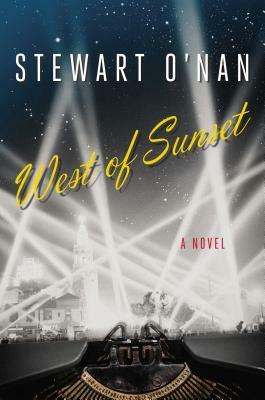 A sympathetic and deeply personal portrait of a flawed man who never gave up in the end, even as his every wish and hope seemed thwarted, West of Sunset confirms O Nan as possibly our best working novelist (Salon). STEWART O NAN is the author of fourteen previous novels, including The Odds; Emily, Alone; A Prayer for the Dying; and Snow Angels, as well as several works of nonfiction, including, with Stephen King, the bestselling Faithful. His novel Last Night at the Lobster was a national bestseller and finalist for the Los Angeles Times Book Prize. He was born and raised in Pittsburgh where he lives with his family."